once again im not going to go in depth with this installation. i personally dont own a 3B powered car and i have never installed one of these on a 3B car. 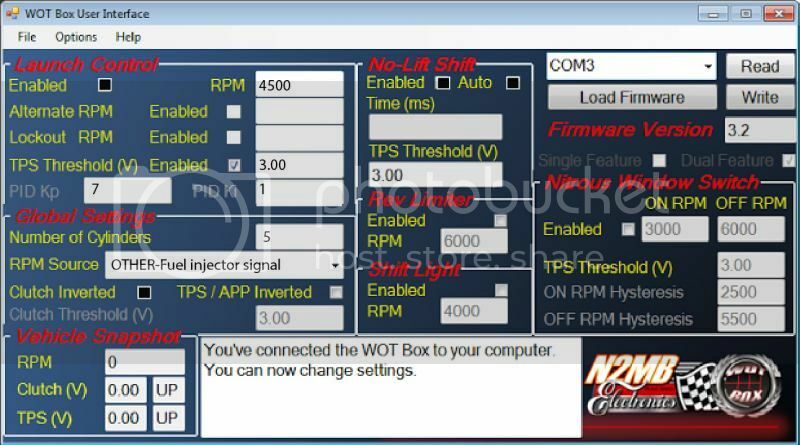 i created this soley with diagrams from S2 central.net and my knowledge of installing the WOT BOX on AAN powered cars. if you have any question about it feel free to post them here and i will do my best to answer them. 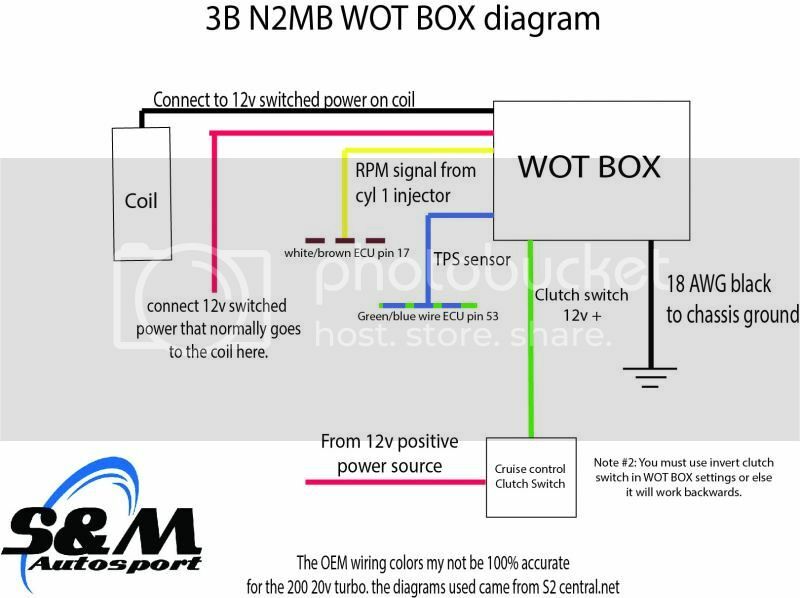 WOT BOX wiring diagram for the 3B engine. A screen shot of my settings. you may want to tweak them for your own application but here's the base. If you like the tuning on your stock ECU but want launch control and no lift shift than this is the perfect solution for you! no spending a 1000+ on standalone just to get these features and even more money on having your whole car retuned. just wire it up, configure and drive, easy as that.